Bourbon and bacon?! You’re combining three of my favorite things: alcohol, meat, and bourbon. I want to go to there. 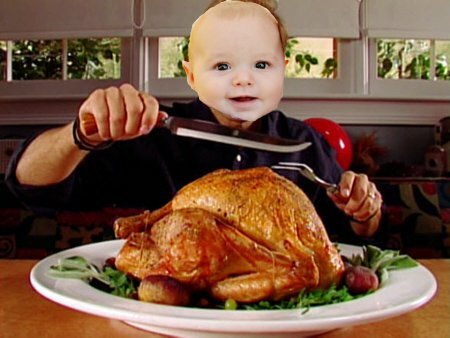 Hope you all have a fanfuckingtastic Thanksgiving! There is nothing better than booze and beast! The turkey experiment actually turned out pretty damn tasty, if I do say so myself! !